The deadline to reserve your room for the 2014 NCHN Annual Educational Conference is Monday, May 26th. Make reservations online here. Last call for the 2014 Network Leader Salary & Benefit Survey If you have not yet completed the salary survey, please do so today. The report will be drafted shortly, so the link will close tomorrow. Only those who have completed the survey will receive a free copy of the report. If you need a link to the survey, let Christy know. Bill Bolt, Ph.D., is the Executive Director of a new network member, Data Services for Healthcare (DaSH), a Colorado network that assists health care providers and facilities in Frontier, Rural, and Urban underserved areas of Colorado with affordable and sustainable use of Health Information Technology. Dr. Bolt has been the healthcare management field since 1984. He has worked in Corporate healthcare, Critical Access Hospitals and Federally Qualified Health Centers. He is a retired Major from the US Army. He has his Bachelor's degree in Psychology, his Masters degree in Business Administration (MBA) and his Doctorate degree in Management. Dr. Bolt's passion lies in the rural/underserved health care arena. Look for him at the NCHN Conference next month, where he will be presenting Transforming the Rural, Frontier and Underserved Healthcare Delivery System through Better Use of Data. May is the month of graduations! I’m sure most of us have at least one graduation on our schedule this month! We are fortunate to have two high school graduates this year, a nephew in Illinois and a great niece in Kentucky! The 2013 Leadership Learning Community held their final community call on Friday and ended their conference call sessions on the topic of “Annoying Conversations & Conversations of Curiosity.” Community members revisited values they had defined in an earlier session and discussed what they looked like in action, particularly during conversations. 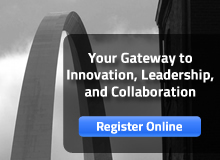 The 2013 Leadership Learning Community will have a final face-to-face meeting on Friday, June 20th in St. Louis, kind of like a graduation for this group of network leaders! If you are interested in joining a future Leadership Learning Community, please let me know. Each year at the NCHN Annual Educational Conference, we recognize network leaders and network organizations. Please take a few minutes to review the guidelines for nominations, learn about previous award winners, and submit your nomination today. The nomination deadline is Thursday, May 29th. Join NCHN members and guests at the May Coffee & Tea Chat facilitated by Dr. Chess. Bring your questions and promising practices. If you are a seasoned network, you might be surprised about the innovations emerging from the new networks. If you are a new network, why not build on experiences and pilot new ideas based on successes of the mature networks. And mostly, if you are simply a curious learner, willing to invest an hour of your time learning with your peers, join us. Many networks have years worth of outcome data collected for grant evaluations that have not been translated into strategic plan outcomes, or communicated to partner, policy maker and public audiences. This session will present several practical and cost effective ways to translate grant outcome data into meaningful strategic outcomes that can be utilized to build network momentum and support.